The first time Michael Franti heard himself on the radio it might have been out of pity. Franti said it was thrilling to hear his song played over the airwaves that day and it was something that at that time he hoped would happen more often. Unfortunately, it would take nearly 25 years before that wish would come true. So in 2010 when “Say Hey (I Love You)” off his sixth album with his band Spearhead, All Rebel Rockers, made its way to No. 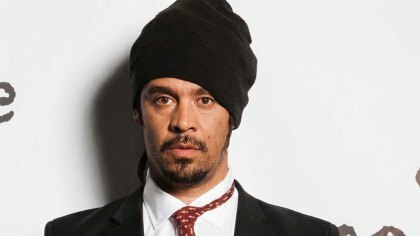 18 on the Billboard Hot 100 chart–his first song to ever crack the Top 20–Franti should have been over the moon. Instead he was in the hospital. Before that moment, Franti had never had a song in the “top 20,000,” so to finally get that hit was much more meaningful than if it had been the first song he ever put out. After nearly three decades in the music business, he knew how hard it was to get a DJ to play your song when they’ve got so many other songs to choose from. But most of all, he knew how it felt to be on the other end of the radio dial, listening to a song that you just want to hear again and again. Franti’s latest album, All People, is out now.